A Van Gogh in your bag on your desk! 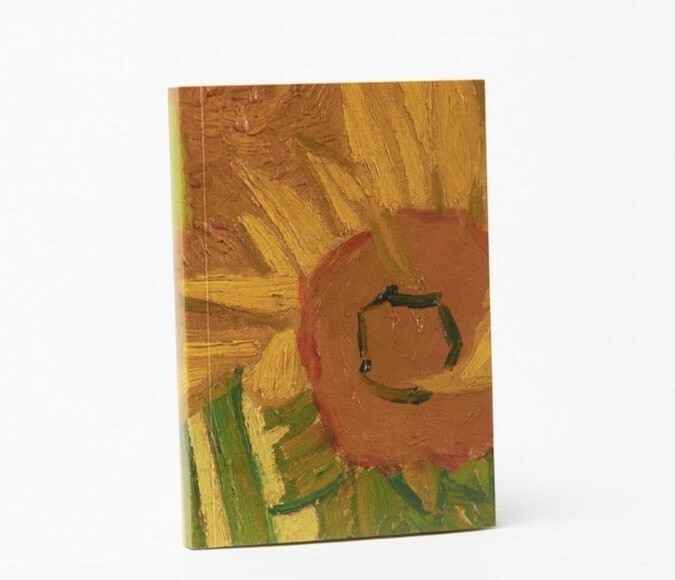 This A5 notebook has a special cover print is special: a fragment of Vincent van Gogh’s masterpieces ‘Sunflowers’. The notebook has a hard cover, a print of the complete painting on the inside and lined pages. Beauty meets practicality! Although most people have laptops, Ipads and smartphones, a lot of us still want to pencil notes in a notebook, that is a paper notebook. Very convenient to have one in your bag. And like other personal accessories, it’s nice to have an attractive notebook. One that you enjoy every time you put it in front of you. 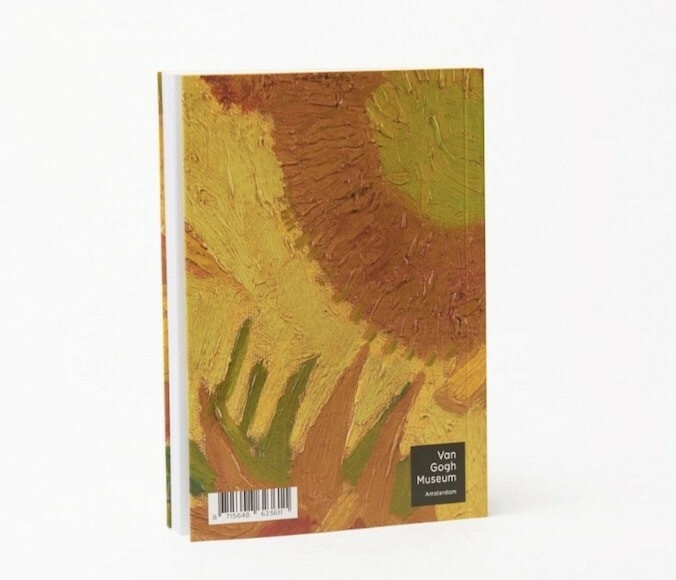 This lined notebook has a cover print of a fragment of the famous Sunflower paintings by Vincent van Gogh and on the inside a picture of the whole painting. Pretty unique as your personal notebook but also a great gift! Van Gogh's sunflower series includes three paintings with fifteen sunflowers in a vase and two with twelve sunflowers in a vase. Vincent van Gogh painted these works in 1888 and 1889, when he lived in Arles in the south of France. They were displayed at Paul Gauguin's (a close friend of Van Gogh) bedroom. Today they can be found in five different museums over the world. Vincent van Gogh has bequeathed a huge amount of paintings. Fragments of a number of masterpieces have been used to decorate products like scarves, bags, glasses cases, vases, bicycle bells, umbrellas, puzzles and more. In our online shop we have dedicated a whole subcategory to Vincent van Gogh items.